I first discovered the health benefits of essential oils a few years back. Originally, I was diluting my essential oils in grape seed oil and applying them directly to my wrists. While this was working, I did notice my scents would actually absorb faster than I wanted them to. Many would fade within an hour or less. So I started using lava stone essential oil jewelry from a company called Essential Charms, and now my scents last a lot longer. Most of my oils now last a day or two at the least, so I don’t need to reapply in the middle of the day. This got me to wondering if there might be other benefits to combining essential oils with lava stones. I was feeling significantly better throughout the day wearing my jewelry, and it seemed to me like that might have to do with more than just my oils lasting longer. Could it be that the lava itself had some benefits? So I did some research on the emotional and spiritual healing powers of lava stones. Here is what I discovered. Lava brings you the healing powers of the earth itself. When you are wearing your lava stone jewelry, think about how lava is formed. What you are wearing originally started as liquid magma deep underground. This fiery substance was ejected from the earth through powerful volcanic forces, and then cooled and hardened into its solid form. How amazing is that? Your lava stone jewelry is quite literally a gift from deep beneath the earth’s surface. The planet itself has given you its very own healing powers. Whether you believe that as a “literal” metaphysical reality or not isn’t all that important. Once you have that image in your head, it is a powerful one all on its own. Lava carries with it connotations of the power of the earth, and in turn, helps you feel more connected to the beautiful world you live in. This can be deeply empowering. If your root chakra is not clear and bright, you can have a hard time feeling settled or like you belong. You may have a difficult time staying anchored. Your other chakras may also be affected, since you cannot draw energy up through your root effectively. Others may even tell you that you are “draining” to talk to. Lava’s connection to the earth gives it a grounding effect, so it can cleanse the root chakra, clarifying and charging it. This is one benefit I have really observed in my own life since I started wearing lava stone essential oil jewelry. I used to feel disconnected, scatterbrained, and like I didn’t “fit in” at work. Even at home, I didn’t quite feel like myself, and I was always fatigued. But since I started wearing the jewelry, I have been much more centered and calm. I’ve felt a sense of inner peace and belonging. I’ve realized a lot of my conflicts at work were all in my head. And I have a lot more energy throughout the day. This is a stone of rebirth and renewal. Did you know that volcanic energy is intensely renewing? Volcanic soil for example is very fertile, and makes for excellent planting. That same energy of rebirth and renewal is contained within every lava stone you encounter. Just as volcanic soil can help crops grow, lava stones can help you grow. Lava can absorb positive energy and disperse it. 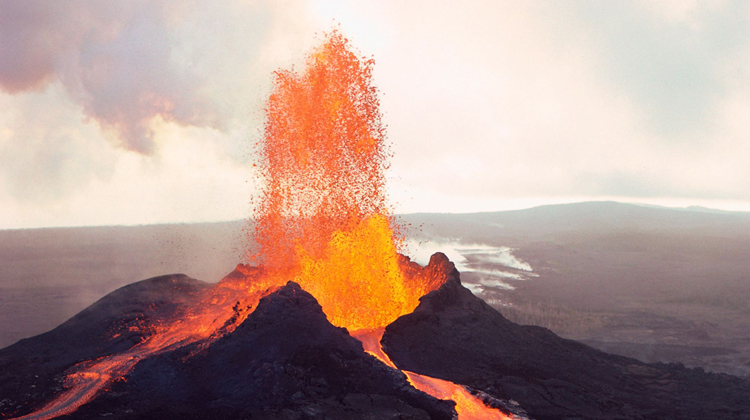 While I have heard the metaphysical benefits I just described above discussed by others, one thing that for some reason I seldom see mentioned is very important—and that is the fact that lava is a porous stone. This is exactly why you are able to use it with your essential oils. The oils are absorbed into the lava beads of your jewelry, and can then be dispersed gradually throughout the day, surrounding you in peaceful, healing scents wherever you are. That is just one example of how lava is able to absorb healing energy and disperse it back to you throughout the day. And everywhere you go, the delightful aromas of your essential oils also help to uplift and invigorate others who cross your path. That same property applies at a deeper level as well. Metaphysically, lava is capable of drawing in free, positive energy from your environment. But this stone also “breathes,” releasing that energy in abundance where it is needed. So now you know all about the benefits of lava stones and essential oils. While each possesses powerful healing properties on its own, it is when you combine the two that you really get the full benefits. Wearing lava stone essential oil jewelry keeps me relaxed, grounded, and energized. So consider giving yourself the gift of the earth. With lava stone and essential oils, you can bring your life into balance through continuous healing and renewal. Try lava stone jewelry today, you will not be disappointed.